Virtual and Accelerated Worlds Collide. Svart Alfheim and the Accelerated World have begun to merge. In the midst of the chaos, Yui has gone missing. Kirito must challenge the Seven Kings of pure color from the Accelerated World to gain access to her location. Players from both groups come together in a war of the worlds where the strongest Burst Linkers and ALO Players are on a mission to save Yui from the hands of Personna Babel. 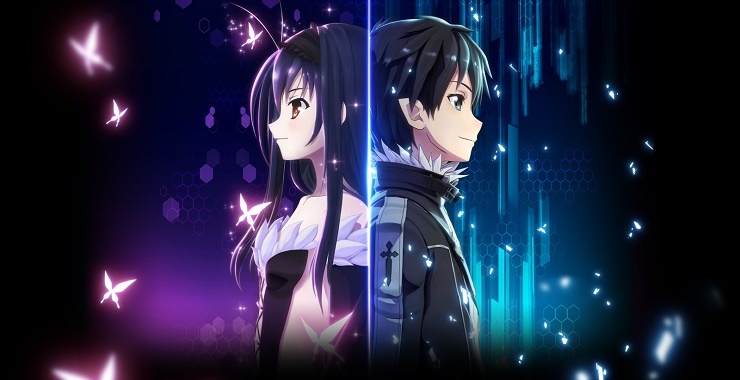 ORIGINAL STORY FROM THE MASTER OF TECHNOLOGY FANTASY – Worlds collide as characters from two of Reki Kawahara’s award winning series’ come together on a journey through time to save Yui in a completely original story. THE BEST OF BOTH WORLDS – Combine powers and leverage strengths as you build 3 man teams with your favorite characters from both Accel World (Acceleration/Special Techniques) and Sword Art Online (Flight/Magic)! UNITE FOR THE FIGHT – Team up with your friends or challenge your rivals in fi erce online multiplayer featuring multiple modes supporting up to 4Pv. Trainer for the game Accel World vs. Sword Art Online, you can use it to activate these essential Cheat Codes: Infinite Money, Infinite Stamina, Freeze Timer, Maximum Damage, One Hit Kills, Mega Experience. Note: This cheat tool is for the original version v1.0 of the game Accel World vs. Sword Art Online.